Nicole Shaw launched Synergy Magazine in March of 2004 after receiving much encouragement and support from members of the community. People regularly ask about her background in the publishing industry…. well, Nicole’s background actually includes ten years in the computer industry, four years of freelance graphic design, ad layout with the Link Newspaper, four years of PR work and much interest in personal growth and energy healing work. In 2008, Nicole’s partner, Dirk Becker, came on board with the magazine. Dirk’s vision, his gregarious, outgoing personality and solid sense of language has been an incredible asset to the publication. 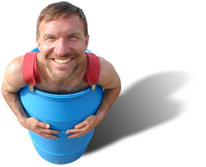 Dirk refers to himself as a socio econonomic, environmental, political activist and ardent feminist, who is fascinated by ayurvedic neuro- bio- psychological predisposition and with birth order. Dirk has only recently (in his mid-40’s) been making the connection between a diagnosis of A.D.H.D. and dyslexia with his life experiences. Dirk’s life purpose is centred around helping people on their path and creating positive change in the world. 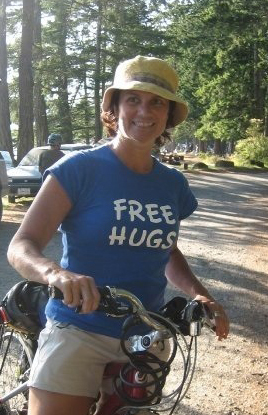 In 2007, Jill Brocklehurst, who had been a regular contributor to Synergy, approached Nicole about starting a second edition in Campbell River. The two agreed to work to make it happen and launched Synergy – “Campbell River’s Own” – in July of 2007. Ever since, it has been a growing success, thanks to Jill’s effervescent personality and positive outlook. “You don’t need to create life, you have to let it happen through you by following the deepest, inner most desires of your heart.” Jill says. Jill wants readers to use this medium as a place to share ideas and reflections for making this world a better place for all of us. Through mindful living at home, work and play, we can create a place for all to live in harmony. 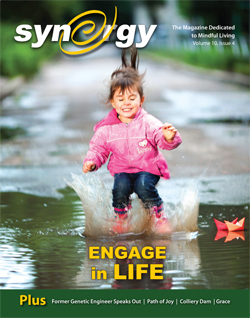 Synergy Magazine has been instrumental in uniting the Campbell River community and providing an opportunity for residents to voice their ideas. In this area there are many who support the magazine’s vision: inspiring humanity to make empowered, conscious decisions in all areas of life – body, mind and spirit – for the betterment of all. We look forward to hearing from you! She and her husband live on Quadra Island, where together they garden, maintain a forest wood lot, raise animals and between them have six boys and four grandchildren.